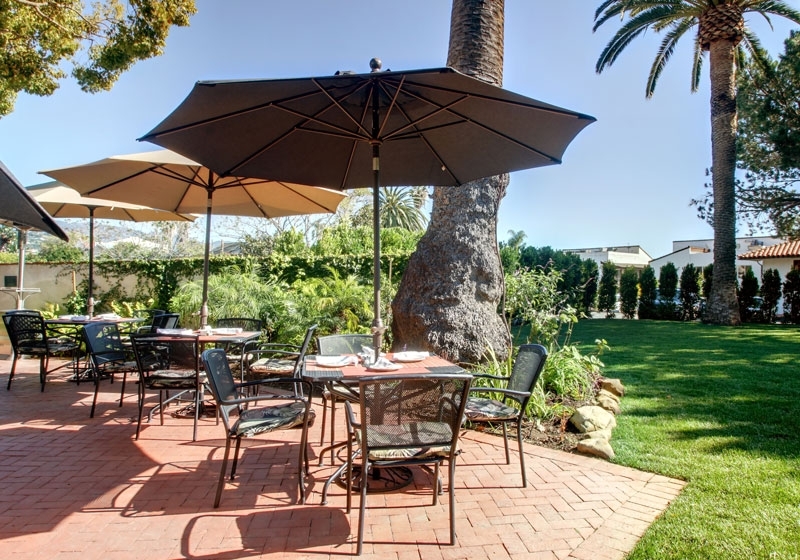 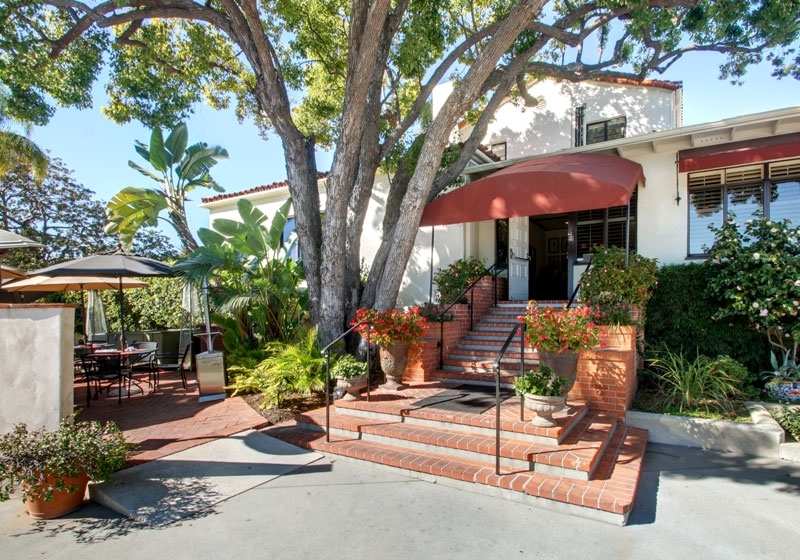 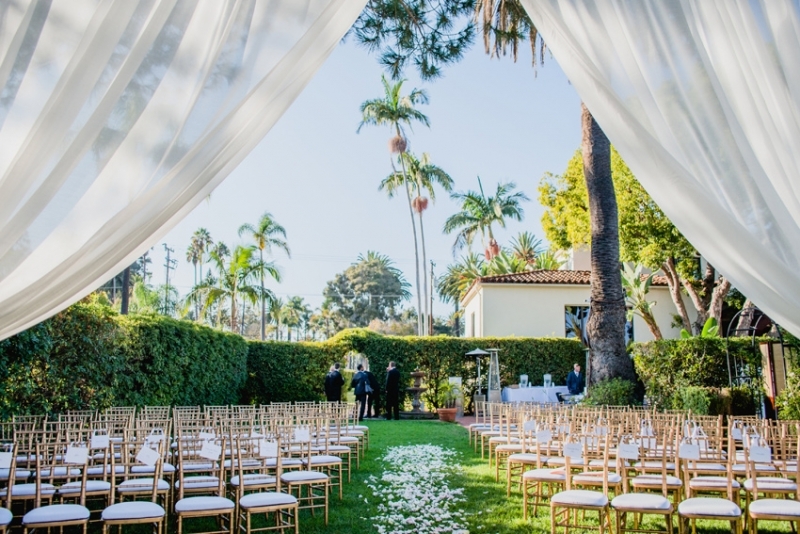 Delight in this lush, secluded outdoor space, ideal for a wedding ceremony, outdoor dining or cocktail reception with luxurious lounging possibilities near the heart of downtown Santa Barbara, yet with privacy and exclusivity in your very own hidden sanctuary. 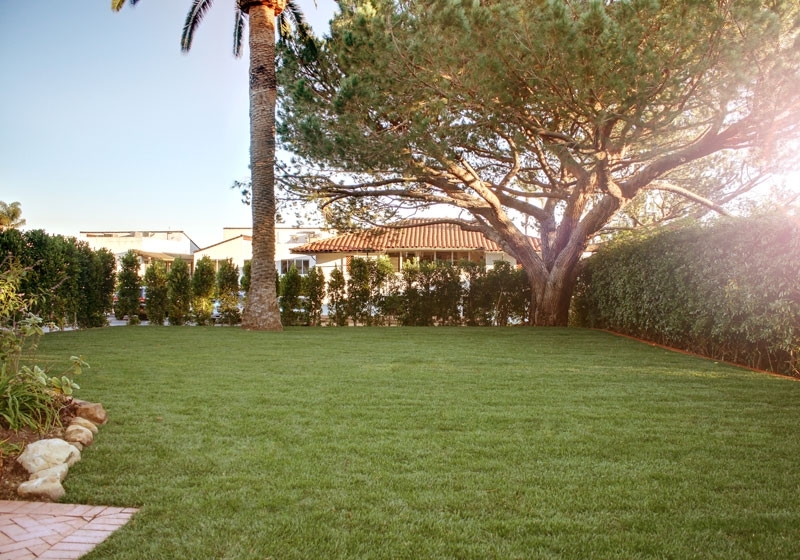 The massive and sprawling tree backdrop, gorgeous palms, beautiful arbor, optional patio umbrellas, and flowing Spanish fountain are all key features everyone will enjoy, with stunning mountain and American Riviera views wrapping this outdoor space in sheer perfection. 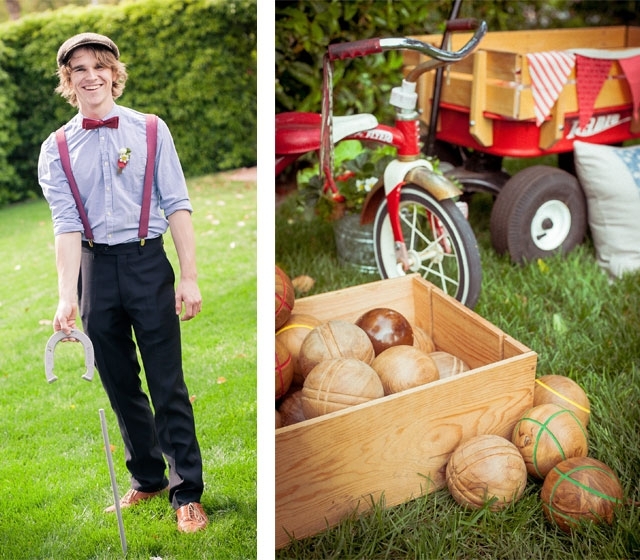 Perhaps bring in a bocce ball or croquet set for your guests to enjoy before or after your wedding ceremony whilst they sample something sweet or savory and breathe in the breathtaking views and almost always near-perfect weather. 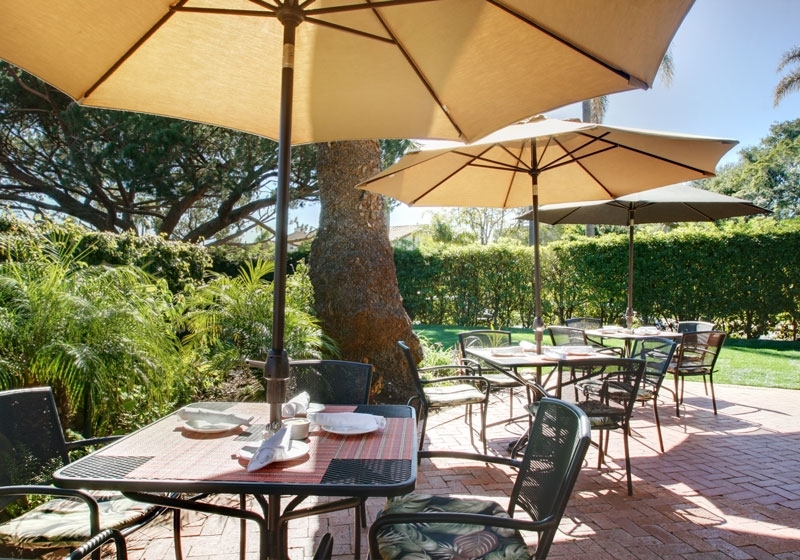 We’re happy to provide a bar and station for outdoor refreshments. 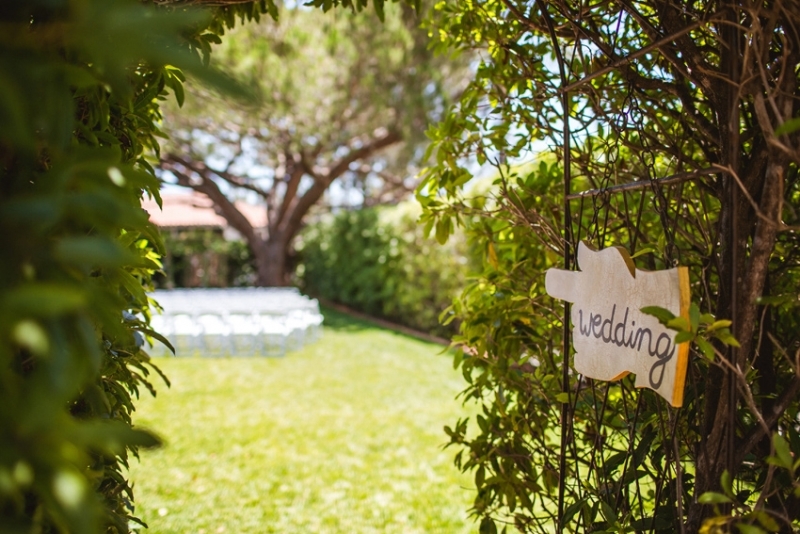 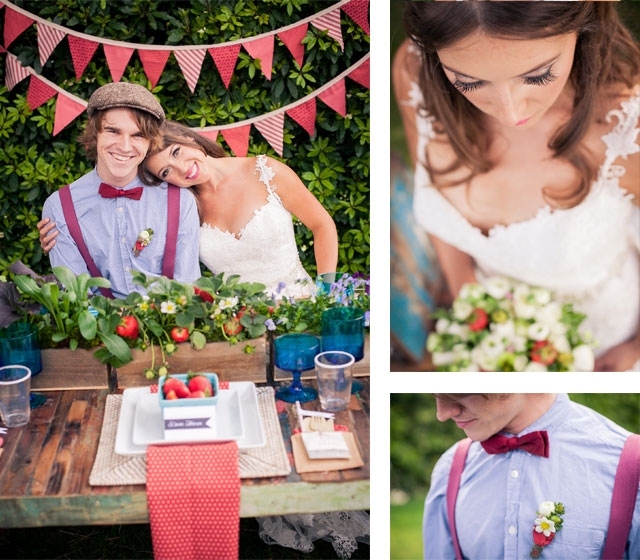 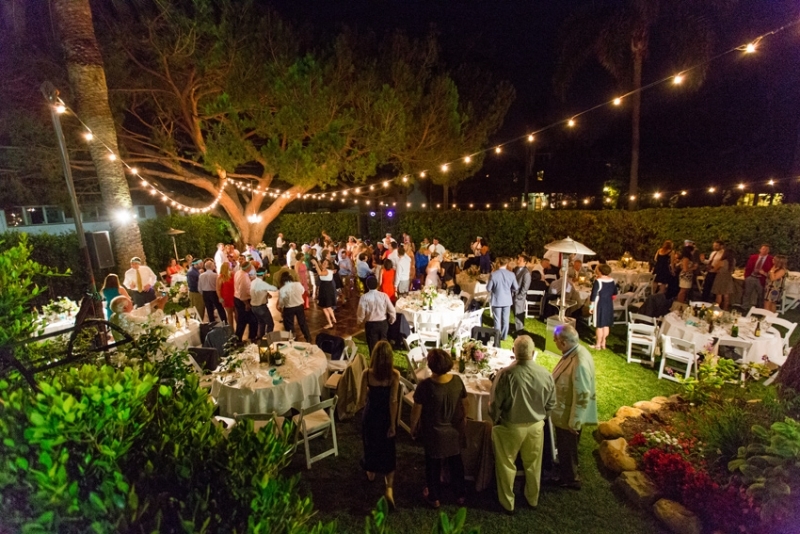 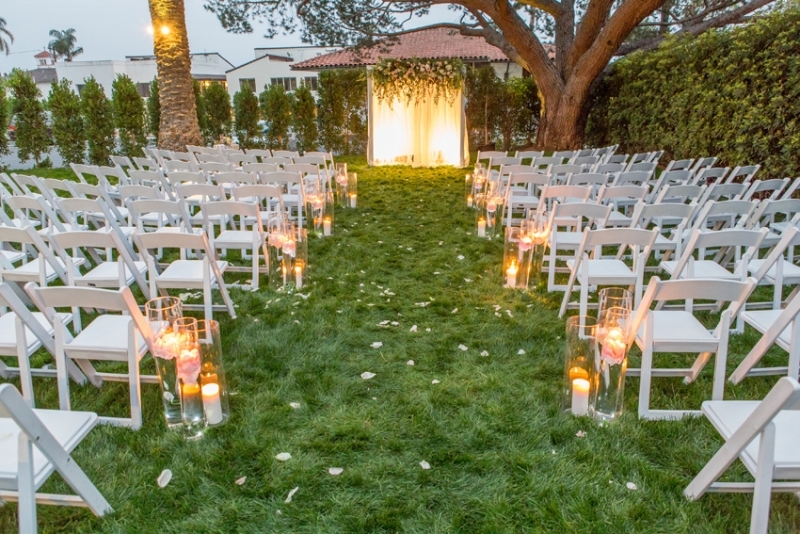 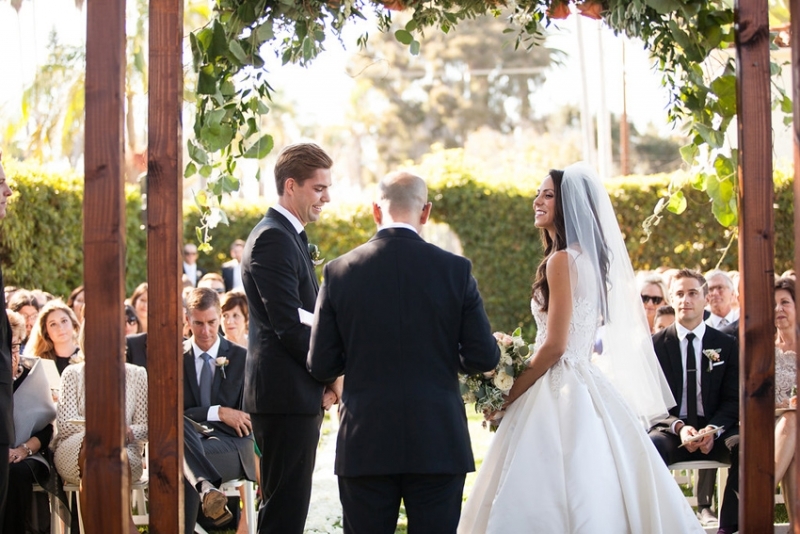 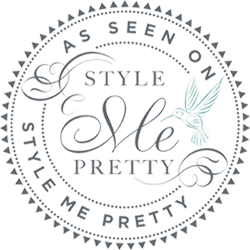 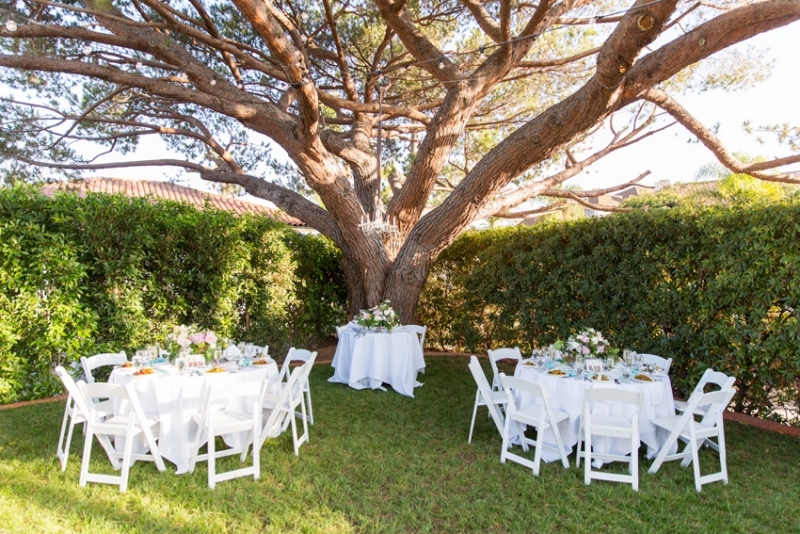 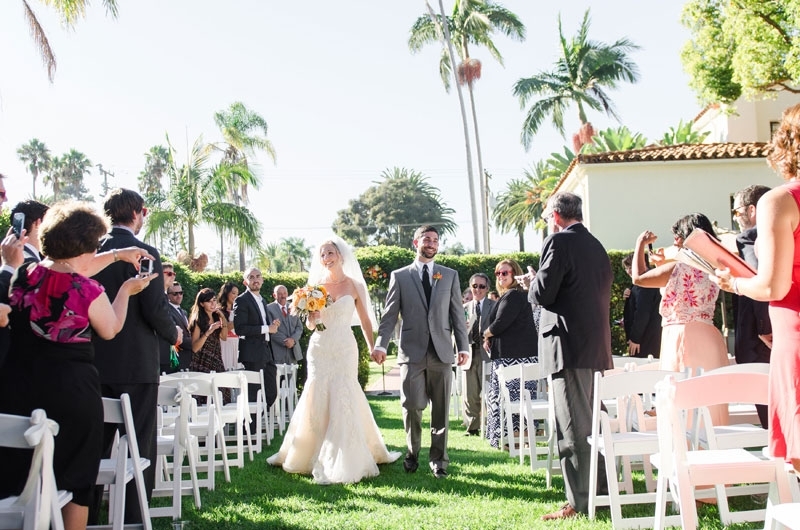 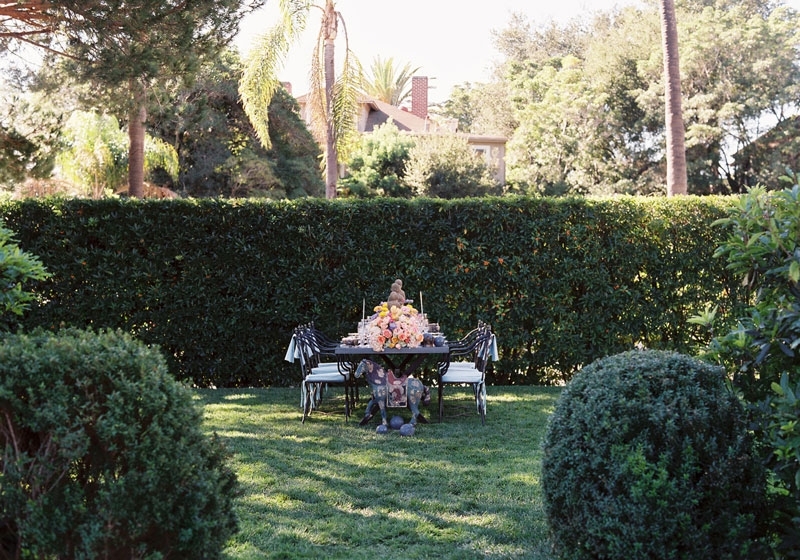 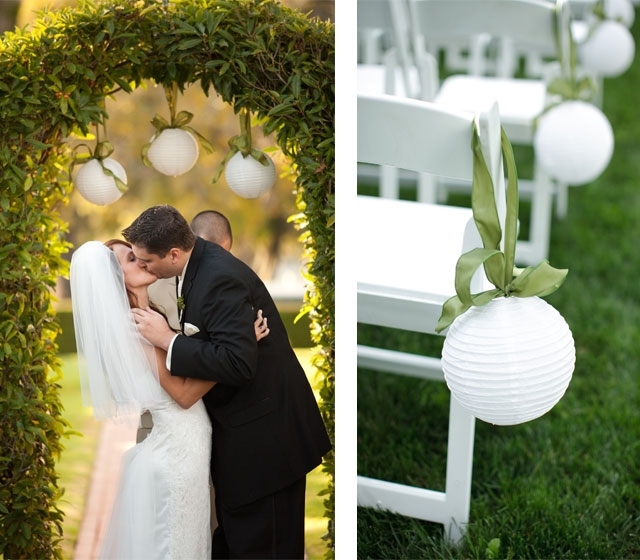 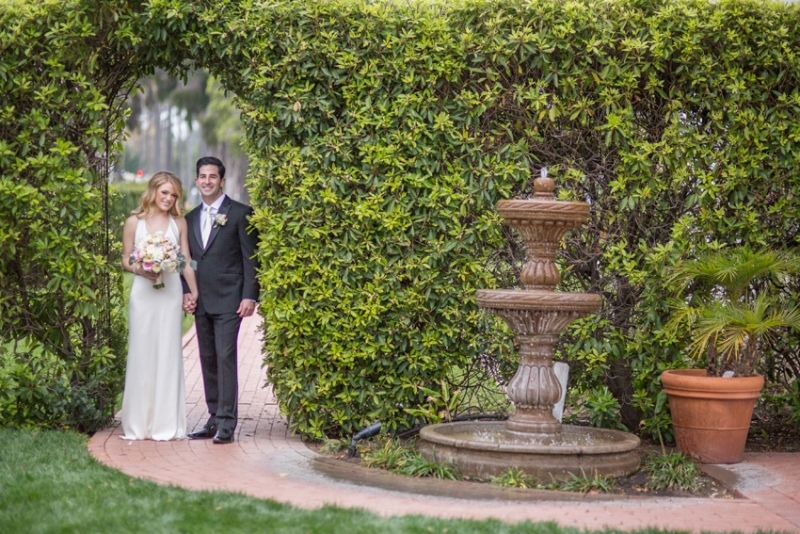 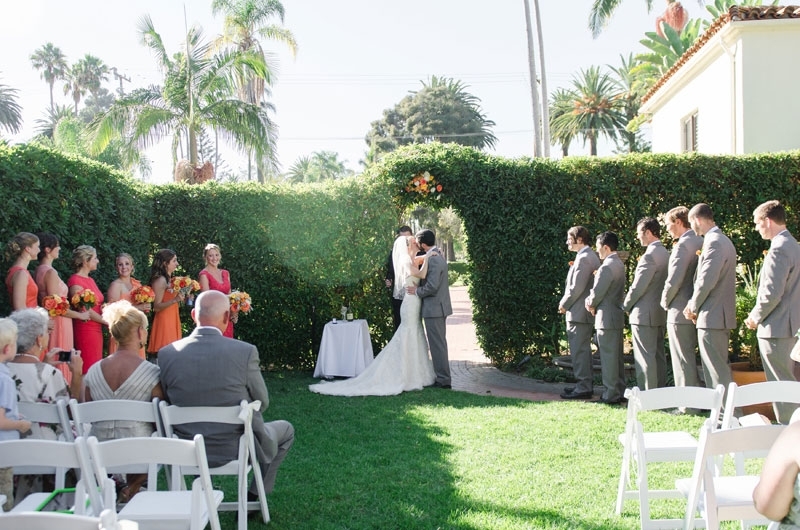 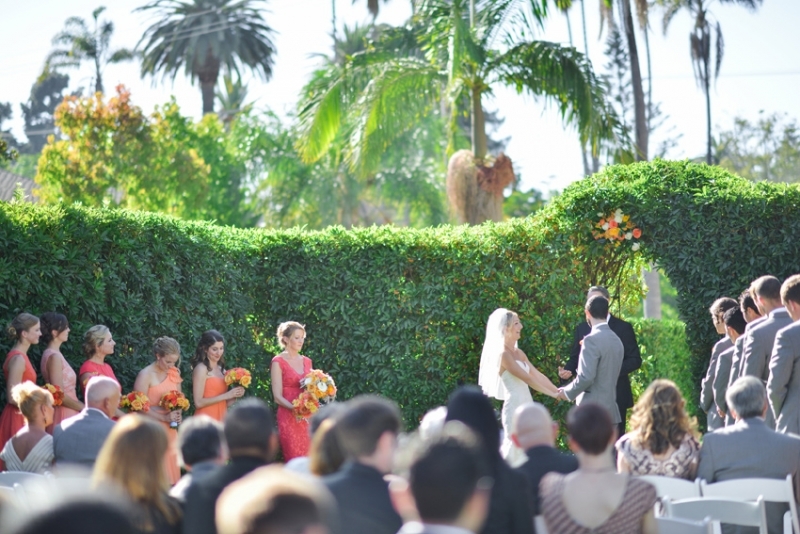 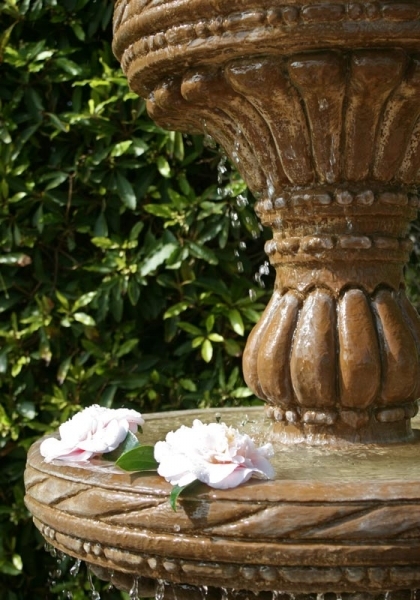 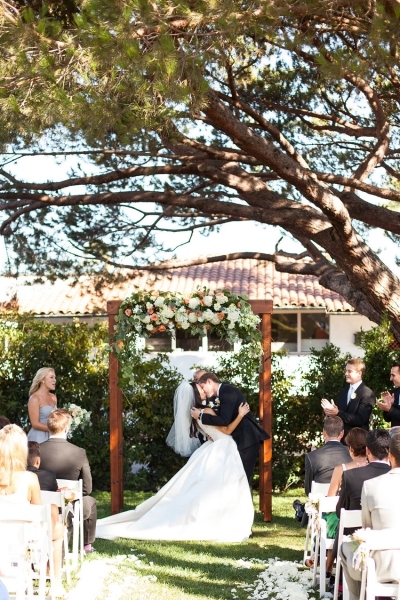 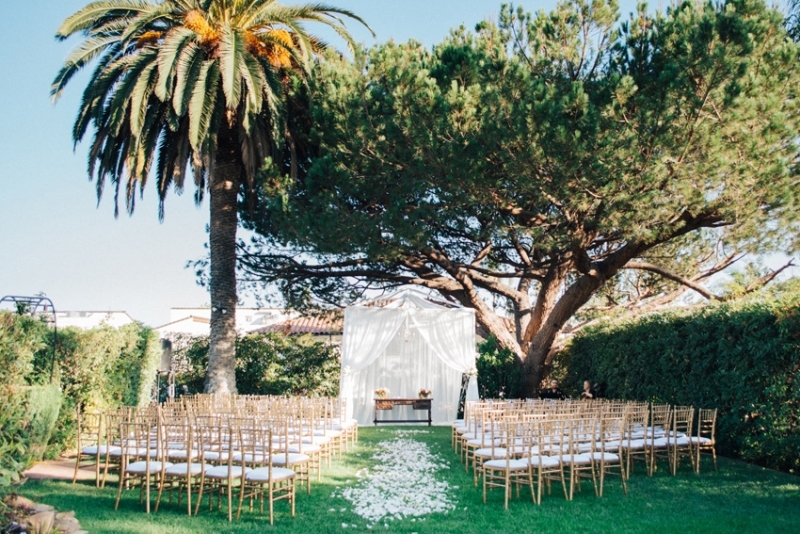 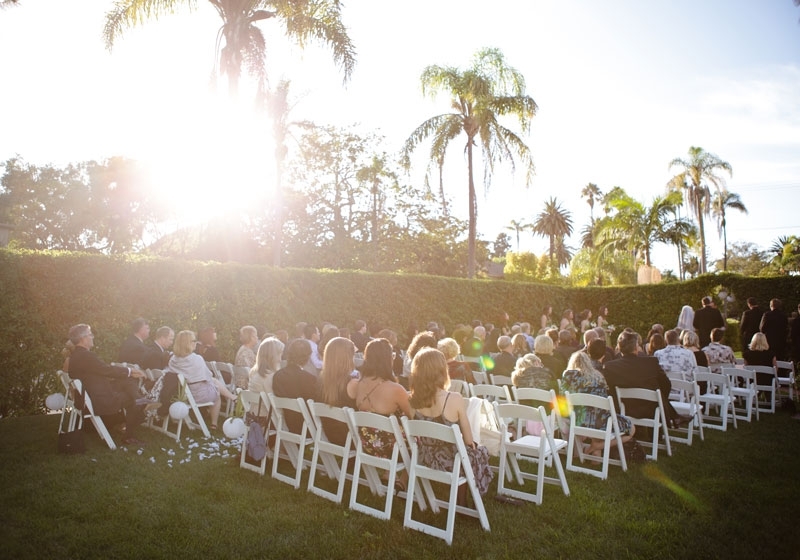 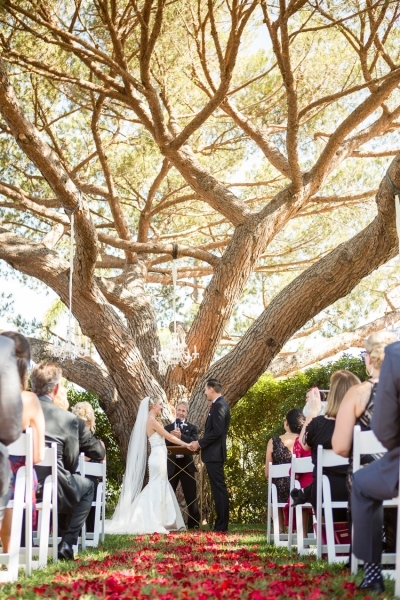 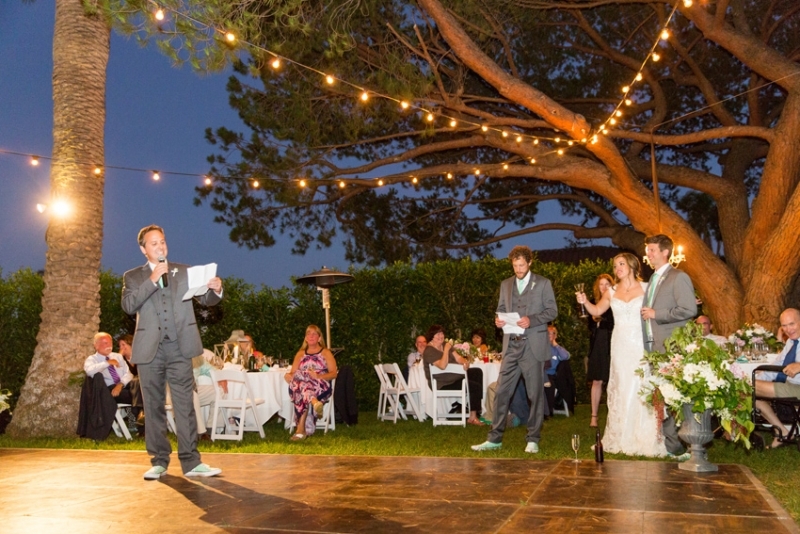 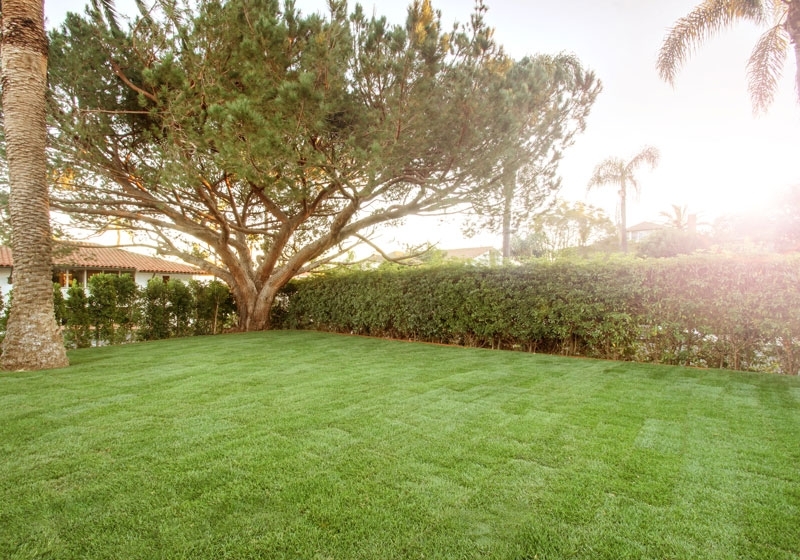 The expansive and well-maintained trees, lawns and neatly trimmed privacy hedges yield an incredible locale for various ceremony and celebration events.